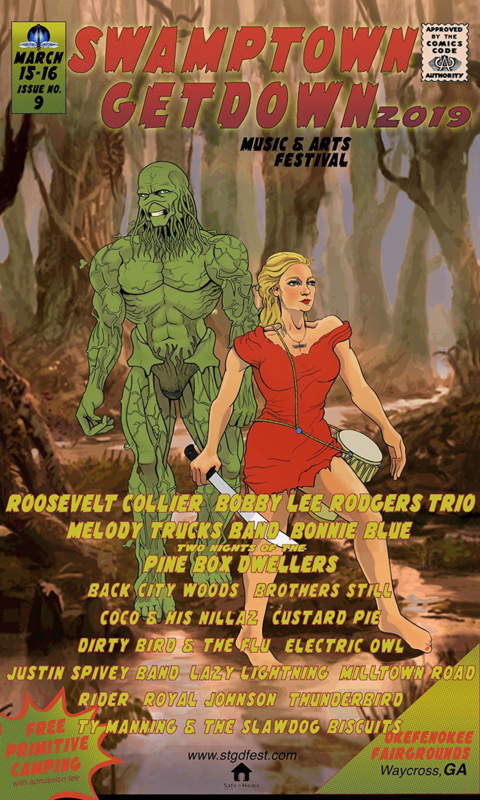 Swamptown Getdown Music Festival, held annually in Waycross, GA, is a celebration of music from all over the Southeast US. With Country, Indie Rock, Americana, Jam, Bluegrass and points in between, STGD is sure to have something for everyone! Safe at Home Productions Inc.